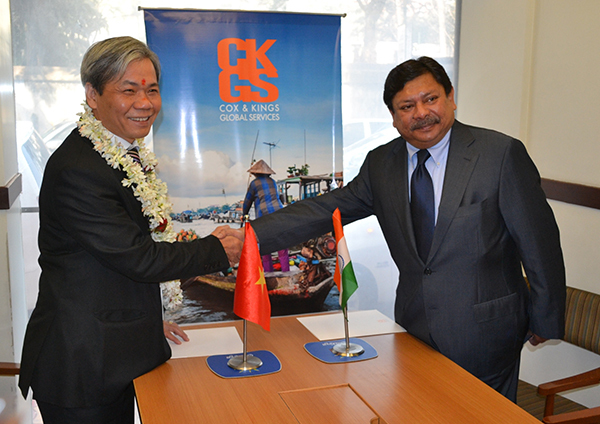 Cox & Kings Global Services or CKGS Inc in 2008, is a major fully owned division of Cox and Kings Community, the oldest and pioneering travel service specialist company, having global market. Cox & Kings Global has started its operation as a professionally administered business process outsourcing company to offer comprehensive services to Consular divisions of Diplomatic Embassies and Missions in managing and processing entire activities related to applications for Visa and Passports. Since its inception, the group has rendered superior class of services to all diplomatic missions as per guidelines and has established its service consistency, reliability and commitment to the missions. Having been equipped with well organized client service offices, expert manpower and latest mechanisms CKGSundergoes processing of Visa and Passports with full accuracy and protection. The group has been prepared with state-of-the-art client service points which are easy reachable by applicants. All centers are having well trained and customer friendly employees and other apparatus for collection of applications over-the-counter. Applications are also collected online, through registered mails and courier service. Since, security matters significantly when it comes to processing and issuance of Visas and other IDs, Cox & Kings Global Services, CKGS is wonderfully organized to go through flawless inspection and then investigation process before approval of passport and visa applications. In fact, all related documents are scrutinized by highly expert, thorough officials. All applications are checked in accordance with the requisites checklist guidance received from the Missions. Communication is a significant part of processing by which CKGS enables all applicants about the current status of their applications. It broadcasts all necessary info to candidates by means of its website, call centers, live chat from help desk counters. Fees in relation to your applications are collected by Cox’s centers on all Missions’ behalf and while accepting money, you’re issued with a bar coded payment receipt. There’re a number of paying options that include payment through debit card, electronic transfer, banker’s check and all. Once this part is over, candidates are interviewed online through web based software controlled mechanisms. This saves time, makes the process effortless and boosts security. Modules for interview are custom made and vary between the Missions. The group enables all diplomatic missions access client database through personalized database management system. All information is maintained with full protection and honesty. With latest standard data storage system, digitization backed by security measures Cox ensures safe storage as well as retrieval of data in future. Documents like passport or visas are delivered through registered post only with intimation to candidates and the mission. CKGS is prepared with wonderful techniques by which, every movement of passports and visas and their whereabouts can be monitored at any given time. The current position of the document can be checked with the help of distinctive barcode systems. Cox & Kings Global Services also maintains extremely advanced standard of mechanisms like Biometrics’ Solutions. This helps capturing both figure prints and digital photographs of applicants with Civil Aviation organization standard.